...enjoy coffee and cake on the terrace with a panoramic view of the Berlin Cathedral, Altes Museum and the palace grounds. 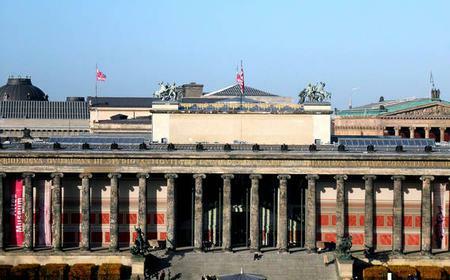 The Altes Museum or Old Museum is on Berlin's Museum Island, and showcases the Antikensammlung or Collection of Classical Antiquities of the Staatliche Museen zu Berlin with its works of Greek, Roman and Etruscan art. Housed in an elegant Neoclassical building built to plans by Karl Friedrich Schinkel in 1823 - 1830, it is one of the highlights of the UNESCO World Heritage site of Museuminsel. 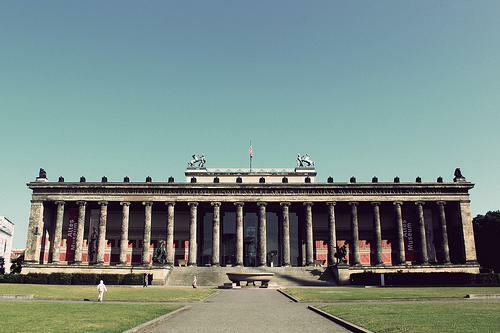 The Altes Museum or Old Museum is on Berlin's Museum Island, and showcases the Antikensammlung or Collection of Classical Antiquities of the Staatliche Museen zu Berlin with its works of Greek, Roman and Etruscan art. Housed in an elegant Neoclassical building built to plans by Karl Friedrich Schinkel in 1823 - 1830, it is one of the highlights of the UNESCO World Heritage site of Museuminsel. The grand structure has a high expansive portico inspired by the Greek Stoa Poikile, with 18 sandstone fluted Ionic columns and Ionic pilasters at the ends, with 16 Prussian eagles along the roof. The monumental flights of stairs are flanked by bronze statues - Amazon Fighting Panther by Augustus Kiss to the right, and Lion Fighter by Albert Wolff to the left. A five-bay opening with 4 more Ionic columns leads through a bronze portal to a double staircase going to the upper hall of the central vestibule. 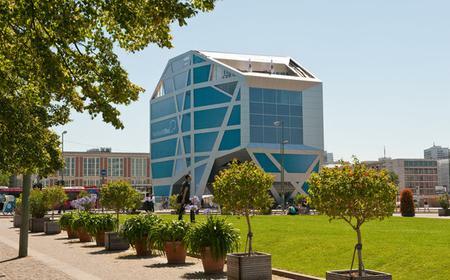 The interior of the building contains two courtyards as well as a magnificent central drum and a domed rotunda which has antique Greek sculptures around it, inspired by the Pantheon in Rome. The collection presents a comprehensive view of ancient Greek, Roman and Etruscan cultures, displaying paintings, sculptures, portraits, frescoes, jewellery, gold and silver ware, vases, sarcophagi, and mosaics. 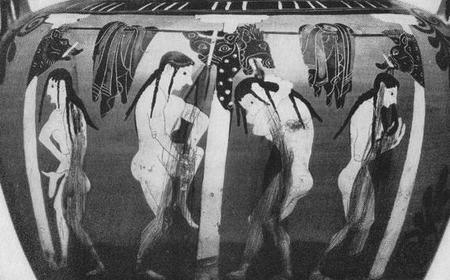 The ground floor primarily houses artifacts of Greek Antiquity from the beginning to the end of the 1st millennium BC, tracing the evolution of Greek art over the period, from small terracotta items to large bronzes and marbles. Highlights of the collection include a bronze statue of the Praying Boy dating back to 300 BC, portrait of Pericles, the gold Vettersfelde fish from the Scythian finds around the northern Black Sea, Ornate bowl with the emblem of Athena from the 2nd century BC, graceful figurines of Tanagra women, a 6th century BC Relief from Chrysapha, votive statue of Zeus with thunderbolt from 470 BC, and 5th century BC Pentelic marble relief of Medea and the Daughters of Pelias. The first floor focuses on Etruscan and Roman pieces, showcasing artwork as well as items of daily use across different social classes. Highlights of the collection include portraits of Green Caesar and Cleopatra VII, Winged Bezoar Goat that was the handle of a silver amphora, the 3rd century BC Rinuccini sarcophagus, and Etruscan antefix of Goddess Juno Sospita. 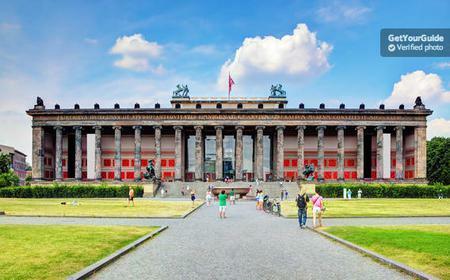 The Altes Museum also displays an interesting collection of more than 1300 ancient coins from the Munzkabinett, one of the largest numismatic collections in the world spanning the 7th century BC to modern day. The Munzkabinett’s collection is shared with the Bode Museum and comprises banknotes, seals tokens and jetons apart from coins. The Altes Museum displays coinage up to 268 AD.